NPR News Nuggets: How Meta Can We Get? The Nugget About Nuggets Here's a quick roundup of some of the mini-moments you may have missed on this week's Morning Edition. 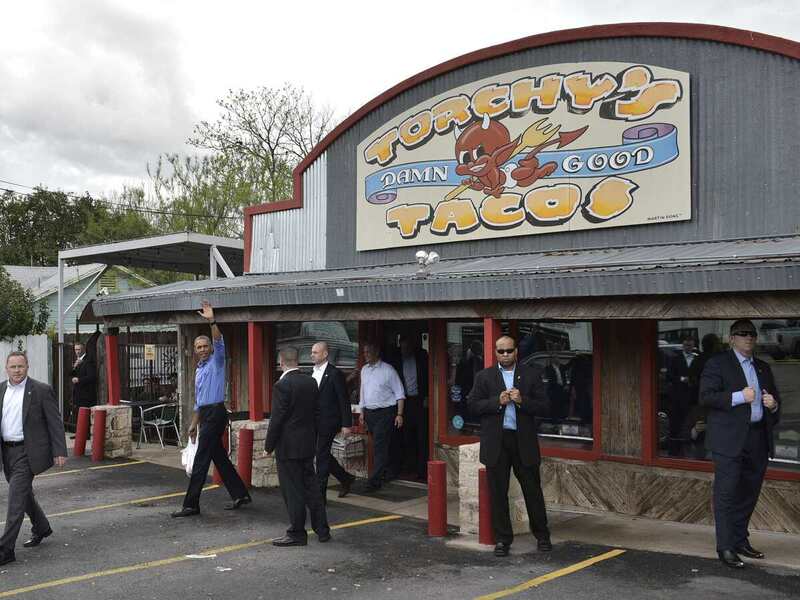 Former President Barack Obama enjoyed some of Torchy's Tacos on one of his trips to Austin, Texas. In 2008, the Texas-based franchise Torchy's Tacos registered the phrase "damn good tacos." And all was well. That was until now. As Morning Edition host Steve Inskeep said on Monday, Torchy's is suing a Colorado restaurant, Dam Good Tacos, over the phrase. There might be a compromise for between the Torchy's in Austin, Texas and the Dam Good Tacos restaurant in Fort Collins, Colo. Might they agree to disagree since the Colorado taco shop spells damn good tacos without an "n"? Maybe, but don't forget a common phrase in the Lone Star State: "Don't Mess With Texas." 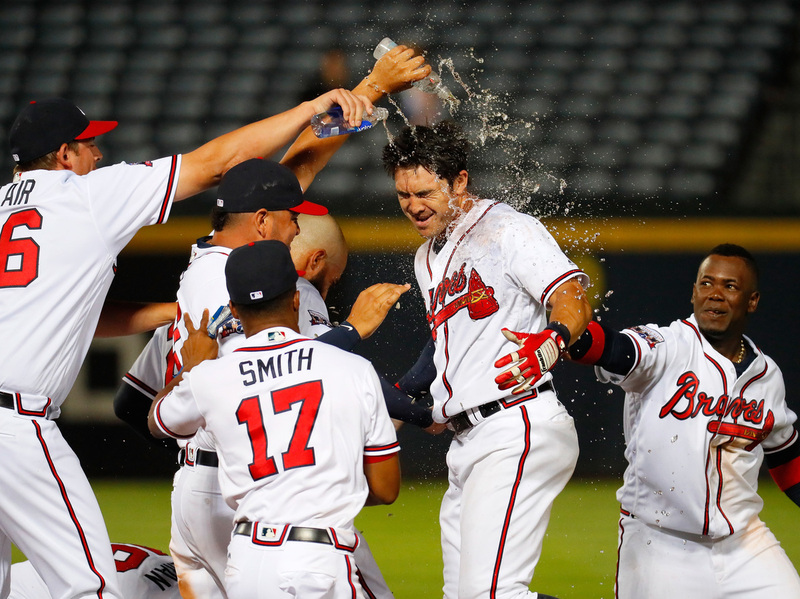 Maybe this year the Braves will celebrate wins by pouring the beer aged with chips from the making of baseball bats over each other. That might be too meta though. Beer and baseball go together much like the all-time favorite peanut butter and jelly sandwiches. It's a classic pair and you'd be hard pressed to find someone who thinks otherwise. But what about baseball in your beer? Well, kind of. As Morning Edition host Rachel Martin said on Tuesday, fans of the Atlanta Braves can enjoy beer exactly like that at the team's new ballpark. There, you'll find an IPA made out of a bit of baseball bats. The beer has been aged using wood chips that come from the making of baseball bats. Technically, it's beer made of waste products, but that doesn't sound as appetizing, so baseball beer it is. Cheers! All I have to say is that I have been waiting for this day to come since these little nuggets became a weekly feature. Now, we are here and it's about to get meta in this nugget about nuggets. Many people love chicken nuggets, with good reason, and there are a lot of options out there. You have McNuggets, Chick-fil-A nuggets, and more, but for 16-year-old Carter Wilkerson, it's all about the chicken nuggets from Wendy's. As Morning Edition host David Greene said on Wednesday, the Nevada resident tweeted to the fast food chain with "Yo Wendy's how many retweets for a year of free chicken nuggets?" When the fast food joint responded with a hefty price of 18 million retweets, Wilkerson was not discouraged. He got to work. Currently, Wilkerson is at 3 million retweets, but if he hits 3.3 million, he'll set a new record and break one currently held by Ellen DeGeneres. I'm sure you know the tweet with her star-studded selfie from that time Ellen hosted the Oscars. But just in case you don't, you can see it below. So Carter, I have to say, I've held off retweeting your tweet until now, but you helped this meta news nugget become a reality, so what will harm can one retweet do? And yeah, people need their nuggs.